Sao Paulo is a bustling metropolis located in Brazil. In addition to being the financial hub of Brazil, Sao Paulo is the most populated city in the southern hemisphere, with a population of 12.4 million residents. A cosmopolitan melting-pot of cultures, Sao Paulo is home to the largest groups of Italian, Arab and Japanese expats in the world. Cheap flights to Sao Paulo are now available for a limited period of time, so prepare to be captivated by the beauty and energy of this city! Sao Paulo is home to Guarulhos International Airport (GRU) located 25 minutes from the city centre by car. 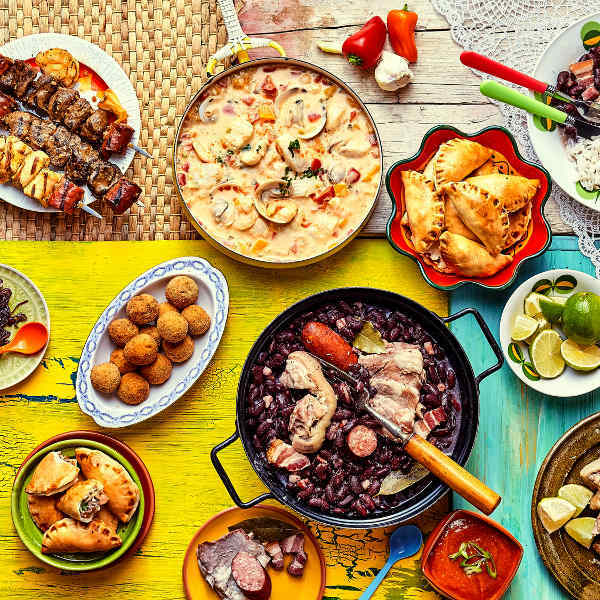 Renowned for its delicious and versatile street food, Sao Paulo offers some of the best local cuisine, like Moqueca (fish stew) on hot rice and spicy Feijoada. Street art in Sao Paulo has turned many of the city’s districts into walk-through works of art. 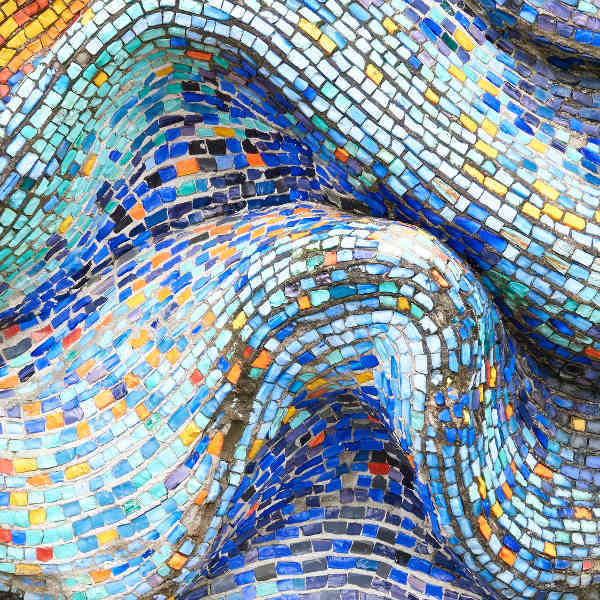 Expect to be dazzled at buildings transformed into colourful, ornate murals by local artists. Sao Paulo is within driving distance to some of the world’s best beaches. Enjoy some tanning or a refreshing swim. Nearby parks offer walks and hikes with breath-taking mountain views. Blessed with a subtropical climate, Sao Paulo enjoys warm weather throughout the year, making any time an ideal time to visit. Winter time in Sao Paulo (June to September) is high-season due to comfortable temperatures and minimal rainfall. 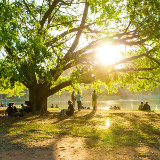 The best times to visit are autumn (March to May) and spring (October to November), when temperatures are at their mildest and the tourist crowds have dispersed. Take advantages of the low-season specials on offer and enjoy the city for less! Often overlooked by travellers in favour of its more well-known sister city, Rio de Janeiro, Sao Paulo is a versatile and eclectic city with a melting-pot of different cultures. Its diverse population of locals lend a friendly and welcoming atmosphere to the city, particularly to travellers. The streets of Sao Paulo are a chaotic but exciting bustle of people who have a reputation for loving to lend a hand to lost visitors. 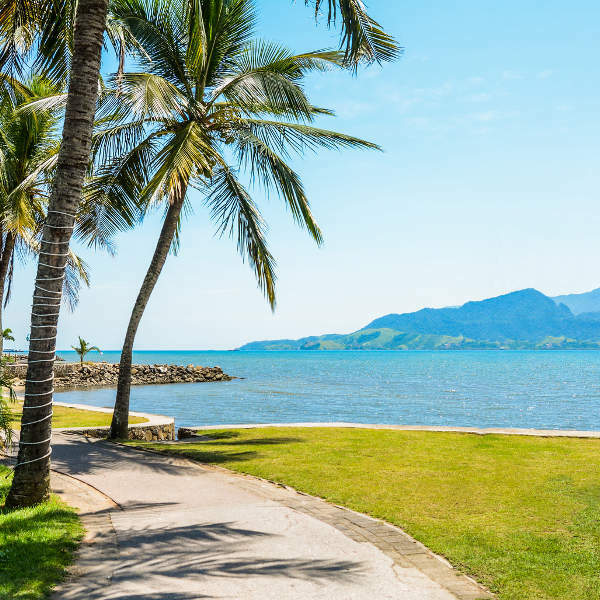 Travellers are spoilt for choice with city landmarks, museums, art galleries, coffee shops and restaurants, as well as gorgeous beaches, peaceful parks and an array of walking trails in the surrounding areas. 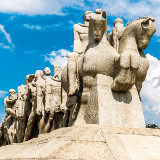 Must-see attractions include Museu Afro-Brasil, the Theatro Municipal and the Sao Paulo Carnival taking place in February (giving the Rio Carnival a run for its money!). 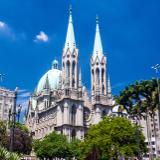 Compare several airlines, and book your cheap flights to Sao Paulo online at Travelstart! As a city that sees hundreds of thousands of visitors per year, Sao Paulo can be affected by pick-pocketing and petty theft. Always remain vigilant of your surroundings and be aware of individuals around you. Keep a close eye on luggage and valuables, particularly in busy areas like bus stops and train stations. Be wary of individuals offering to carry your luggage or other goods. Do not walk the city streets at night; rather take a clearly-marked taxi cab. Do not leave drinks unattended in bars and restaurants. Visitors are advised to stay out of the Sao Paulo favelas unless they have a genuine interest in visiting. If so, it is safest to arrange a guided trip with an experienced tour guide. Sao Paulo’s eclectic nature is reflected in its diverse range of neighbourhoods and accommodation options. Travellers wanting to be near Sao Paulo’s must-see attractions should look for accommodation in trendy Jardins where endless streets of stylish restaurants can be found, in addition to many of Sao Paulo’s most popular museums. Those looking for a more bohemian atmosphere will feel right at home in Vila Madalena, Sao Paulo’s most artistic neighbourhood, filled with boutique shops, trendy coffee houses and traditional Brazilian Botecos, featuring live Samba bands. Sao Paulo offers safe and convenient public transport for locals and visitors alike. The buses follow a multitude of routes mapping across the city and run from 4am to midnight every day. Keep in mind that traffic and congestion can sometimes slow buses in transit. Sao Paulo’s metro rail is one of the finest in South America with local and national lines available to take passengers around and out of the city. It is not advised to take the metro at night if you are by yourself, rather use it in groups. Taxis are also available, be sure to check that the taxi has the word “TAXI” printed on the vehicle and also be sure that the cab driver matches the vehicle’s identification sticker and license plate information.